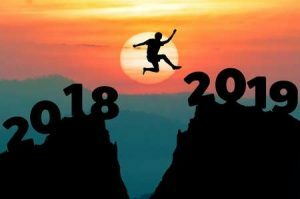 I know we are already into January but is it ever too late for a New Year’s resolution that could transform your business? There are no less than a million business ideas floating around out in the world. These can be ideas for new business startups or new products/services for currently operating businesses. Maybe even ideas for startups in “pivot” mode when the founders are changing their business model to better match the market. I’m sure you’ve heard that only bout 5% of new businesses actually succeed… Have you ever wondered why? It seems like 95% of the pitches I hear are company concepts driven by a founder’s zeal for some new (or old) technology or a perceived but unproven market niche. Let’s call these “founder driven” ideas. But companies based on “market driven” ideas have a much higher probability of success. These are concepts where the startup team takes time to totally understand market needs and design their product or service specifically for those proven market needs. Actually listening to potential customers and observing their articulated and unarticulated needs is a much more difficult and time-consuming way to create a product/service. Mostly because listening, observing, and digging into customer needs may not fall into the normal range of skills for most founders. It takes real and deep listening/observation to a range of potential customers (users) to truly find and prove new market pain points. After you collect user input you then need to create prototypes and test them with these users then expand your test group to get more feedback. These prototypes can be on a computer display or on paper. You will make a lot of mistakes on these prototypes but the key is to keep improving and iterate to get rid of what is not working and keep what people like. 1) What specific customer pain point is this business idea relieving and why will people pay for it? The business idea must address a clear and demonstrable customer pain point. If not, then why will people care? This is the difference between must-have and don’t-need concepts. Must-have products and services are hard to identify but when you take the time to find one your company has a much better chance of surviving and thriving. I like to see specific documented examples of real people with real pain points. Then proof of how the prototype or MVP relieves the pain point. 2) What did you learn from your early service/product prototypes that influenced your final design and made it better? If the startup did the research, prototyping and testing, there should be many stories about what they thought would happen and how target users surprised them and actually felt about the prototypes. I usually expect several examples of ways the final product/service design changed and improved based on insights from target user input. 3) What fundamental customer behavior change is essential for your business idea to work? And how did you prove this behavior change will happen? 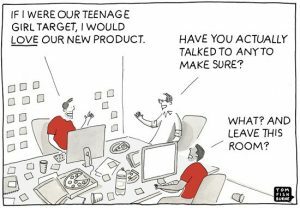 This is a big one… Any new product or service will require the target customer to change their behavior for the new idea to be successful. People accomplished something one way or many ways up until your idea comes to life. For your concept to work you will need them to use (and pay for) your product/service. 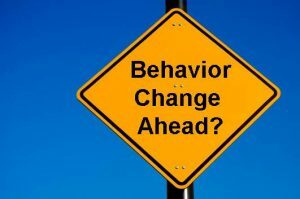 You will need a significant target user change of behavior. You need to prove this behavior change will actually happen. Target user interaction with your prototypes should provide the proof you need or show that the behavior change can happen. A great example of this type of fundamental behavior change is UBER… Until UBER was created people hailed taxis on street corners, phoned limos/car services, drove themselves, walked, or took public transportation. One thing we were warned about since we were children was to “never get into a car with a stranger”. Now UBER needed people to trust a mobile App and get into a cars with strangers. That was a pretty significant behavior change. And… Apparently people were ready for the convenience and lower cost of using a handy mobile app to find transportation. UBER proved this in a few markets then expanded all over the world. I think those little cars on the App’s map might have done the trick. “Founder driven” business ideas count on a “build it and they will come” strategy. Sure, this can work sometimes but 95% of the time a business started with this strategy will struggle and eventually disappear. With “market driven” business ideas, you quickly create, test and improve prototypes until the market tells you they need the product/service and will pay for it. When you finally go from a fully tested prototype to a Minimum Viable Product (MVP) your market will be primed and ready to buy. And… This “market driven” product/service research may actually take you more time than expected. Just in case you think all great ideas usually hit as a bolt of inspiration, let me tell you about one of the best products ever. It took over twenty years of prototypes, customer feedback, and, pain to get this product market. The product now generates somewhere around $4 Billion a year and countless more cash from service fees. The Apple Knowledge Navigator from 1986! 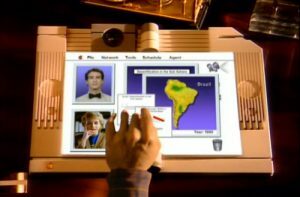 Back in the mid-1980s I was in a meeting at Apple Computer and a guy showed a demonstration video of something called the Apple Knowledge Navigator. You can see the video here. This was the earliest prototype of what is now known as the Apple iPad. Certainly, a milestone product in anyone’s imagination. The iPad changed the way people used computers in many ways and required many key behavior changes. This was only possible because Apple took more than twenty years to get it right. Unfortunately, Apple needed to learn this “Market Driven” designing lesson the hard way after devastating target user rejection of their LISA computer and NEWTON digital assistant. Hopefully your next startup, company pivot, or new product introduction won’t take over twenty years but if make a New Year’s resolution right now to you use a “Market Driven” design strategy your odds of success will be much higher.